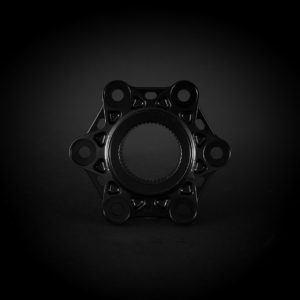 AEM Factory has redesigned the triple clamp in their own vision. 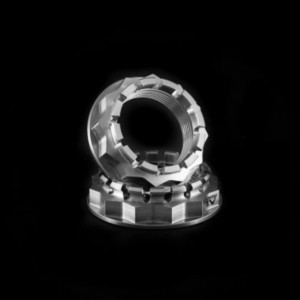 In this set are both the upper and lower clamps including risers milled from single alloy billets which unlike casting has superior strength and rigidity over the OEM triple clamp. Weather protection is ensured by a precise anodizing process in multiple black anodizing films using the latest in electrolytic passivization technology. 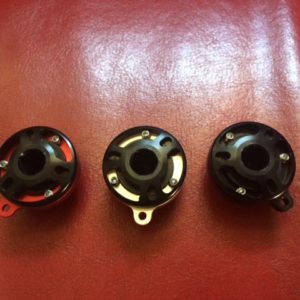 These custom made risers are specifically produced to fit the AEM XDiavel triple clamp. 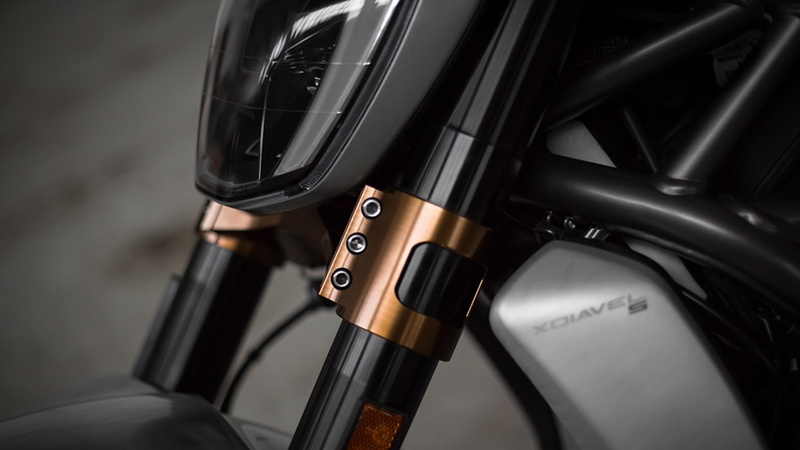 Anodized for long lasting use in busy cities or the weekend highway cruise, these triple clamps will have your Ducati X-Diavel stand out from other owners. 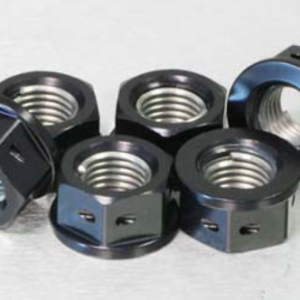 Also included are pure Titanium pinch bolts which are lighter than OEM hardware. Laser etched on the sides of the upper top plate is the infamous AEM logo. 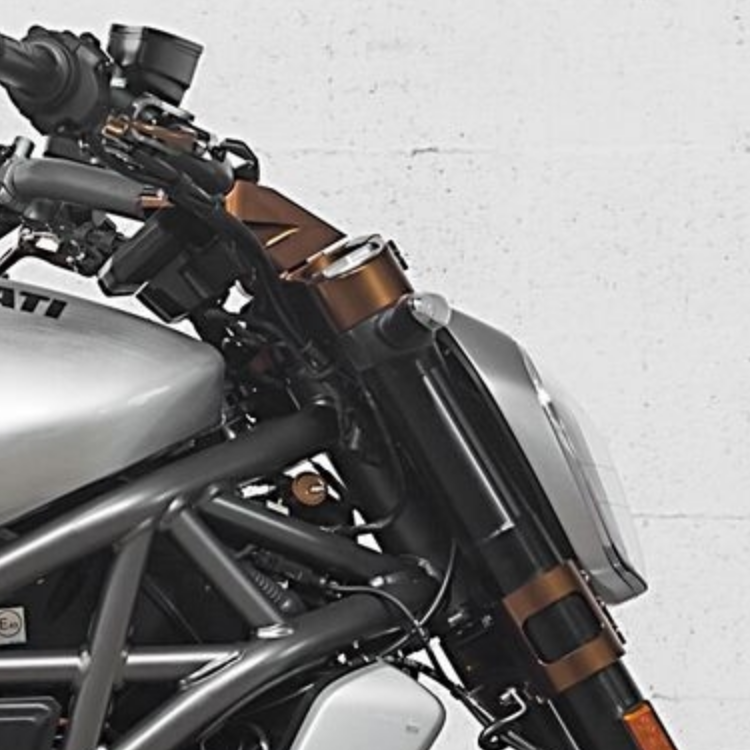 Every biker likes to tinker and modify their bike, but now you can go one step further and color match one of the most prominent features of your Ducati XDiavel. These products can be fitted to your Ducati X-Diavel without any modifications. Please note that the triple clamp only will fit these risers and not the OEM risers. Other colors are available. Please enquire for more info.